You find your happiness inside. My brother posted on my FaceBook wall the other day. Seemed harmless, but its impact was wide and forever. I have been wanting to remix and produce tracks for some time now. I'll buy gear and software, and then muddle around with them to only give up hope. Apparently some learning was taking place, but either the pace or my patience was too slow or too short to make a go of it before. You can do it... let me know how i can help. Those were the words preceding the hyperlink he posted on my "wall" Friday morning. Weezer has provided you with the stems for "Love Is The Answer", a track off of their latest album, Raditude. 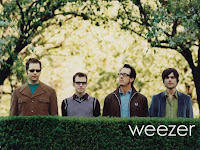 Before the song was finished, the band reworked the song with their friends Ananda and Amrita Sen. Weezer liked the resulting version so much that they put it on Raditude. Now, Weezer is asking you to re-imagine the track in your own style to continue spreading the message of the song. They would love to hear as many different sounding versions as possible. Be it Ska, Reggae, Hip-Hop, Dance, Trance, Death Metal or Scream-O. Hopefully by the end of this contest there will be inspiring interpretations of the song in different languages from different countries with different styles but all relaying the meaning of the song…"Love Is The Answer". Step up to the challenge and show them that your mix is the answer. Use the stems to create a remix or cover the song in your own style to show the band what you've got. Weezer will be hand-picking the top submissions to be released as an official compilation and the winners will be paid appropriate royalties based on their version being on the release. One winner will also be selected to create a brand new song by collaborating with Rivers Cuomo on Indaba. Granted I have put together some great DJ mixes over the last 10 years, and have done some reedits and mashups for these mixes, but an actual remix has always been a failed endeavor for me. His confidence hit a chord in me. I wanted to do this. I was not going to fail this time. Even though I hated this new Weezer album, maybe I could create a remix that I loved. I cared less about winning a contest, but needed to jump over this final hurdle. I download the stems. Drop them into Ableton, and begin fiddling around. Disaster. Delete. Attempt number two, I just grab the drums stem. Looking for a loop that will define this sound for me. Finally I find a sound, and the right amount of effect that makes me move my head. I think I am onto something. I bring in the other stems. The bass, background vocals, keyboard all get included and manipulated. Some more than others, I leave the keyboards almost untouched. It's going to be what ties my remix to the original. The vocal is the part that makes me the most nervous. I want to loop the 4 main words of the chorus and leave it be, Love is the Answer and be done with it. A dub remix of sorts. It feels like a cop out though, so I add more of the song lyrics to the project. It feels like the tough part is over, and now I just need to sequence these parts into a song. I need to create an intro and outro, I need breakdowns and buildups. I need a body for the hands and feet! I step away from the project and play long stretches of Borderlands on the Xbox and take The Little One out to shop. We watch movies and eat dinner. Throughout all this I am formulating my plan. The road map to finishing this remix. It's going to happen! I am stoked! When I get back in front of my trusty Macbook, I start to build these individual parts. First the intro and a solid 32 bar main section. Then I work on a small breakdown after that. It's at this point that I think I want to add a new kind of sound. Up until this point, every sound I was using was created from the stems that Weezer has provided us. When TLO and I were shopping, I found a beat up old drum that I quickly purchased. I love collecting instruments. 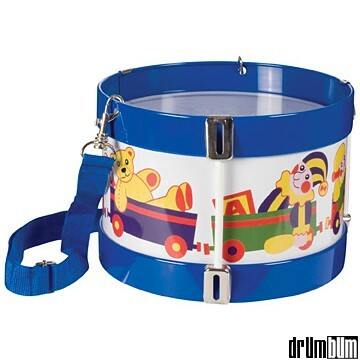 I decided to use this drum in the song and it would make its appearance in the break down and later in the build up. I save my work and grab the drum. I can't find my drum sticks, but I already spot a replacement object to bang the drum with. A wood back scratcher in hand, I start recording myself playing along to the intro of my remix. I just want to record some sounds to manipulate with some effects processing. I am not sure even what it might turn into. Recording done, and I am cutting up the drumming and dropping some effects on it. Suddenly it sounds like some message from outer space. A message of love? I think so! I scramble to finish the rest of the song. I want to see the finish line. Then a disaster. I seem to have knocked something out of time. I feel failure looming. TLO is home from work to eat lunch with me and I try to ignore her comings and goings so I can get the problem fixed. She makes it difficult to do this by making food. I love eating, so I must leave my remix in disarray. After eating and chatting, TLO returns to save the world and I shrug off the feeling of defeat. I push through, reworking the screwed up parts and life is good again. I make some final adjustments to track volume and the triggering of effects parameters. It's done. It's not going to win, of this I am sure. After I uploaded my remix to Indaba I perused some of the other entries. There was some amazing work up there. Winning was not my goal though. My goal was to prove that I could do this. The final hurdle in my rearview, I feel relief. Now I can't wait to remix another song! Oh look! Indaba has a contest for Matisyahu! I can't wait! Read the story of the remix with a smile on my face. recognise them high and lows. After a first listen I'd say it's a job well done. I haven't heard the original track yet but I know Weezer and I like the sound you've come up with, especially the shaker rhythm that keeps it moving along and stirs the clicktrack of the soul. Tucker: Thanks dude. I appreciate the comment and that you took time to listen to it!